Miramar Beach is just to the east of Destin FL, with the Choctawhatchee Bay to the north, and the Gulf of Mexico below. A narrow part of the peninsula provides a water view from just about every part of the city. 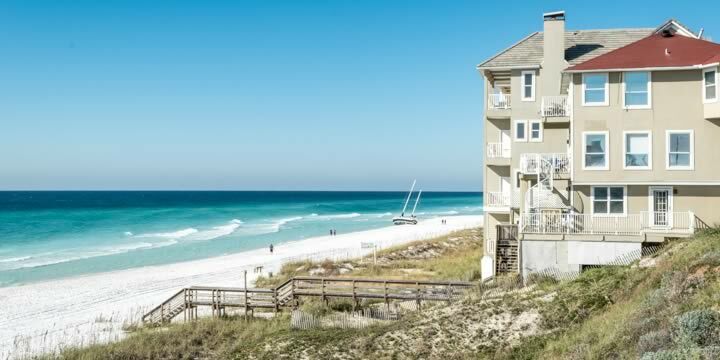 Whether you love a white sand beach or prefer to have a boat at your back door, you will find a beautiful waterfront home in Miramar Beach suit your taste. Unincorporated, it is located in South Walton County, consisting of less than five square miles of land. Miramar has the feel of the old-time beaches, with a wide scenic beach boulevard full of small shops, beach stores, and hotdog stands. It also boasts wonderful luxury beachfront homes and condo resorts, as well as attractions such as parasailing, jet ski rentals, and shopping at some fabulous outlet stores. Excellent restaurants abound, and it is a vacation mecca, providing many of the properties an excellent rental income from tourism. The Sandestin Golf and Beach Resort is in Miramar, as well as the Hidden Dunes Beach and Tennis Resort. So if you love the greens or playing doubles, you will be able to enjoy both. Destin is just a short drive down the boulevard, with even more to see and do. You will not lack for entertainment in Miramar Beach. 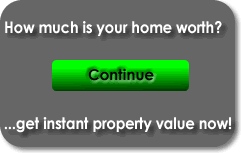 Properties in Miramar are some of the most varied in price that you will find at any Florida Beach. There are nice one-bedroom rental condos for as little as $125,000 in the Pointe of View resort area, and from the mid $100,000's to the mid-$200,000's in Sandprints, Bahia, Elation, and Luau. Two-bedrooms here and at the Seascape Garden Villas Resort average in the low to mid-$200,000's, with three bedrooms available from about $250,000 to $400,000 in Heron Walk and Alerio. Condo prices are usually determined by proximity to the beach or bay, as well as size and amenities. Golf condos in Turnberry at Sandestin Resort can run as much as $500,000. Townhomes and patio homes can be found for about $250,000 to as much as $350,000 in many parts of Miramar, with single-family homes starting around $350,000 in Sandestin. From small three-bedroom golf homes to the finest oceanfront mansions priced in the multi-millions on the beach, Sandestin is one of the most luxurious communities with homes in every price range. There are many other neighborhoods and resorts to visit. We will be glad to show you any or all. 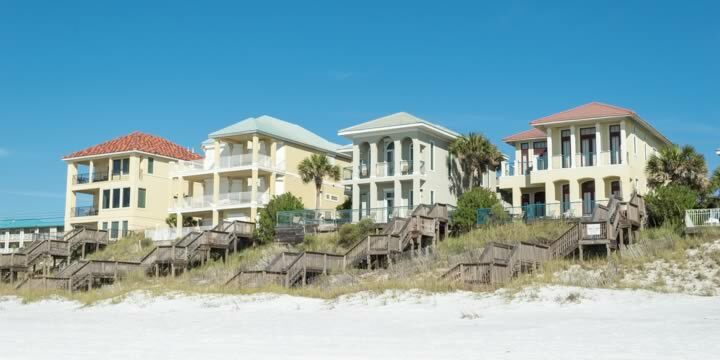 Beach-lovers will find their heart's desire with the homes for sale in Miramar Beach. Call Emerald Coast Realty for a tour or to help narrow your search.